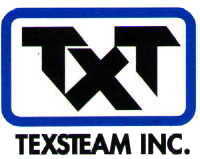 Texsteam Injectors | Texsteam - Gekko, Inc.
Texsteam pumps are designed for heavy-duty or high-yield industries such as agriculture or oil field. Designed in all dimensions to safely extract millions of gallons of oil from wells, the industrial pumps were produced for pumping processes, successful delivery gas to industrial engines, and refining industrial pumping processes. Gekko Inc. carries a wide variety of high quality Texsteam pumps, valves, pump parts, check valves, plug valves and much more; and we are proud to serve as your online one stop shop for purchasing high quality Texsteam products.